When would you like to stay at Volley Hotel - Check Availability & Room Rates!!! Volley Hotel is close to Marmaray where you can easily reach on old city Peninsula by Metro goes on tunnel under the Marmara sea. satellite TV and safe box. and has Ruma Roof restaurant where you can taste turkish best cultural tastes and international tastes too. 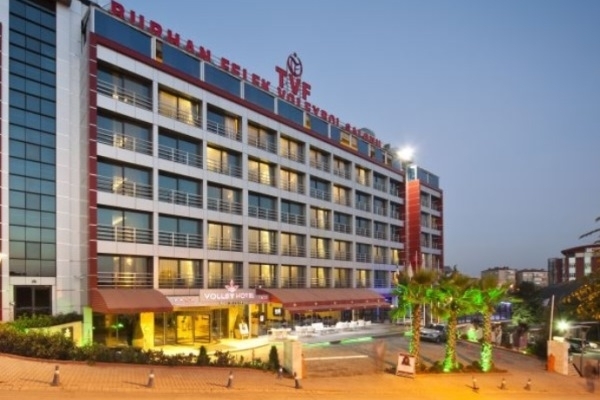 How far and How long will it take from/to the Volley Hotel Istanbul from/to International Airports and cruise Ports. How to get from Ataturk airport to the city? Sultanahmet Transfer Ataturk Airport Transportation Istanbul Airport Shuttle What time should I leave my hotel to catch a flight in Sabiha airport? How to meet at Sabiha Airport What time should I leave my hotel to catch a flight in Ataturk airport? How to meet at Ataturk airport Sabiha Gokcen Airport-Lost and Found Is there any additional charge for my airport transfer service?